Your support of the channel helps build a healthier community and improves the quality of content I can deliver. Viewer support is almost the entirety of my revenue as a full time streamer. Not everyone can contribute financially – and you don’t have to! There are easy, free ways to support the content I create that will not take much of your time. There’s a common myth that Twitch partners are rolling in cash. In reality, I still really worry month to month about being frugal and paying bills. And that’s okay: I left my career because I love this community. If you watch any of the 48+ live hour of content I create a week, please consider taking some simple, free steps to help make my job a bit easier. If you’re able to contribute financially past that, I’ve got information about that as well, from when you shop normally on Amazon, to when you’re looking for a new videogame purchase, to when you need a fancy new t-shirt. There are five easy steps you can take to support Baron that won’t cost you a penny. Disable your adblocker on http://twitch.tv/badnewsbaron. I don’t play ads during my broadcasts, and they only earn pennies, but every bit counts. Please consider allowing ads when you watch my channel. Follow on Social Media.  Make sure you’re following http://twitch.tv/badnewsbaron, http://twitter.com/thebadnewsbaron, and http://youtube.com/badnewsbaron. It’s a simple thing, even if you don’t use Twitter, but it helps raise my social presence. Keep the stream open. Keep my twitch channel open and muted even when you can’t watch. Pop in if you get the chance, but even if you aren’t there the whole time, your computer counts as a viewer. Viewers are the most precious currency on Twitch. Spread the word. Try to get just one or two of your friends to watch the Twitch stream. Share a Youtube video. Do what you can to help get people into the channel, and to this page. The more in the community who help work together, the greater the work we can do when it comes to important things like charity work and helping grow the space games we love. Participate. Pop into discord every once in a while to say hello. Retweet something Baron or someone else in the BNG community has put on twitter. By being an active part of the conversation, you extend it. Watch Ads for Bits. You get free bits to cheer with by watching 30 second ads on Twitch. Over the course of a week or month, these little cheers from ads add up to quite a lot! It only takes a little time, and you can earn them while watching the broadcast in another tab, or in the background while you’re working. Each bit = 1 US cent. Learn more about cheering here. Referral programs are a great way you can support the channel by making purchases you were already going to make. In some cases, doing it through the channel will save you money. AMAZON AFFILIATE – Bookmark this link and use it every time you shop on Amazon. Your price stays the same, amazon will reward Baron with a small commission. GREENMANGAMING – Bookmark this link and use it every time you buy games, including new releases, for a discount at GreenManGaming. Use the code BADNEWSGAMING20OFF for an additional 20% off select titles. Lootcrate – Sign up for Lootcrate with this affiliate link. Use coe BADNEWS for 10% off your subscription. Steelseries – Bookmark this link and use it when you shop at Steelseries. Use code BADNEWSBARON for 10% off your purchases. By subscribing for $4.99 a month on Twitch, you won’t ever see a commercial on my channel. You’ll also get 20 custom chat emotes you can use globally across Twitch. Click here to subscribe. Are you an Amazon Prime member? Now you get a free Twitch subscription to give to any streamer you choose every month as part of Twitch Prime. Learn more about Twitch Prime here. On Gamewisp I offer different reward packages for different subscription levels. These packages revolve around delivering extra, behind the scenes content of what running the channel is like. It isn’t much, but it’s the best way I can say thank you for going above and beyond. If you’re already a Twitch subscriber, take a look at Gamewisp. I have partnered with Design By Humans to offer high quality shirts and other merch that show’s off the channel’s artwork. Take a look! Cheering is a type of tip that is purchased through Twitch directly, and allows you to “cheer” moments you like using special emotes in chat. Each bit in a cheer = 1 US cent that Baron receives on his next Twitch paycheck, 45 days after the end of the current month. By cheering, you unlock special badges next to your name in chat and can interact with the stream in unique ways. However, Twitch charges a high premium for cheers. Spending $19.95, for example, will give you only $15 worth of cheers to give to streamers. From a purely financial standpoint, a broadcaster will get far more if you directly tip them through paypal, and the money is available to use right away for emergencies and bills. However, cheering can be fun on its own, so don’t let that keep you from cheering. Learn more about cheers here.